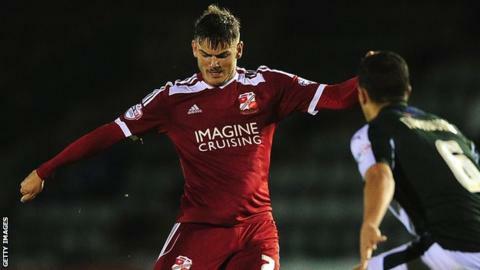 Midfielder Ben Gladwin has signed a new two-and-a-half-year contract with League One club Swindon Town. The 22-year-old arrived from non-league Marlow in the summer of 2013. He made 16 appearances - nine from the bench - in his first season at the County Ground, and has already gone on to play the same number of games this season, scoring twice. "I think this is a good place for me to carry on developing," Gladwin told the club website. "I've come a really long way. Just over a year ago I was working in removals, so I guess I'm living the dream. "Now, I just have to keep working hard and build on what I've already learned. Over the last couple of weeks I've managed to score a goal and create goals too. I want to add to that, score a few more goals and keep setting them up." Swindon are currently second in the table, one point behind leaders Bristol City, following a run of five successive victories.